A residence hall that is for everyone, but will have the technology and resources that will help students with disabilities-that is the dream of Gail Minger, and it is a dream that is getting closer to reality. 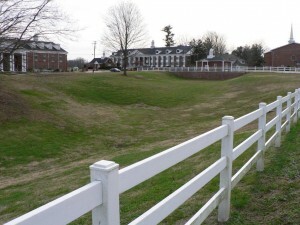 The Amadeus House at the University of the Cumberlands will serve not only as a residence hall, but a model for other schools, and in memory of Gail’s son, Michael. The name “Amadeus House” has two origins. The literal translation is “love of God,” which is very appropriate for a residence hall at a Christian college such as the University of the Cumberlands. However, it has another meaning because Michael was a classically trained vocalist and using one of Wolfgang Amadeus Mozart’s names gives it even more meaning. When Michael, died in a residence hall fire, Gail began devoting herself to helping make sure other students didn’t suffer the same tragic fate. She started working on a variety of issues that included legislation in Kentucky and Washington, as well as being awarded a series of DHS Fire Prevention and Safety grant projects. But one area that Gail has always wanted to work on is building a residence hall that could serve as a model for schools on how to provide not only the best educational experience, but a safe one as well. Gail was invited to speak at the University of the Cumberlands in Williamsburg, Kentucky, and had the opportunity to meet President Jim Taylor and his wife, who had also lost their son. They started talking about how they could make Gail’s dream a reality, and the University stepped up in a big way by donating the land for the residence hall, right at the entrance of the campus. This was a major move forward, and Gail went to work on getting additional donations. Because of some very generous people, she has been able to get the fire sprinkler system, bricks and paint donated, which has set the project well on its way. The building would be one that would meet the needs of all students, but with a focus on students with disabilities. It would incorporate some of the latest educational and living technology that would help students with all different disabilities, whether it is cognitive, sensory or mobility. They would be living in a place that would help them to excel while, at the same time, would keep them as safe as possible from a wide variety of events and disasters. The building would incorporate the concept of “universal design” which means that by designing for those with disabilities, we are enhancing life for everyone. For example, while the original concept of the handicapped ramp was to help people with mobility disabilities, isn’t it used by everyone, from those with strollers to people making deliveries? The residence hall will be a significant addition to the campus, where 70% of the students living in on-campus residence halls, which is far above the national average of about 33%. Founded in 1889, the University of the Cumberlands has an enrollment of 3,300 with 40 different majors that students can choose from. But in addition to the academics, there is a strong commitment to community service through the school’s Leadership/Community Service program and through a series of campus ministries. In 2010, the Minger Foundation worked with the Mountain Outreach ministry and provided it with smoke alarms to have the students install in low income homes in Appalachia. You can help be a part of this dream as well. If you would like more information, contact Gail at gminger@mingerfoundation.org or 850-621-5161 and she would be glad to talk about her dream-The Amadeus House.